Everyone knows the Super Bowl. Some people watch for the game, some for the halftime show, some for the commercials, and some just because it is on. Regardless of why you watch, and regardless of if you’re a football fan, the Super Bowl is a mecca of entertainment.Super Bowl LIII (53) will take place on Sunday, February 3rd, when the L.A. Rams go head to head with the New England Patriots at Mercedes-Benz Stadium in Atlanta, Georgia. This year, Super Bowl LIIIs halftime performers include Maroon 5 as the headliner, with rappers Travis Scott and Big Boi also joining them. The media has also begun the hype around some upcoming commercials, touting there will be some celeb-packed, humor filled ones this year (everyone knows the commercials are the real stars of the Super Bowl). In addition to just turning on the TV for the game and the ads, part of the Super Bowl fun is the atmosphere. Many people throw or attend parties or get together's, usually complete with music, appetizers, and big energy. The atmosphere is often just as much of the fun as the actual game! Check out some of our top playlist choices to set your game day mood, and of course some fan favorite recipes sure to be a touchdown. You can find music from all three halftime performers wherever you get your music, including Spotify, Apple Music, Prime music, Pandora, Youtube, and more. In additional to the halftime performers, check out some of these playlists to get you and your crew pumped for game day! Keep an eye our for our take on the top Super Bowl commercial picks, coming to you next week! Subscribe to the blog to make sure you don't miss it. 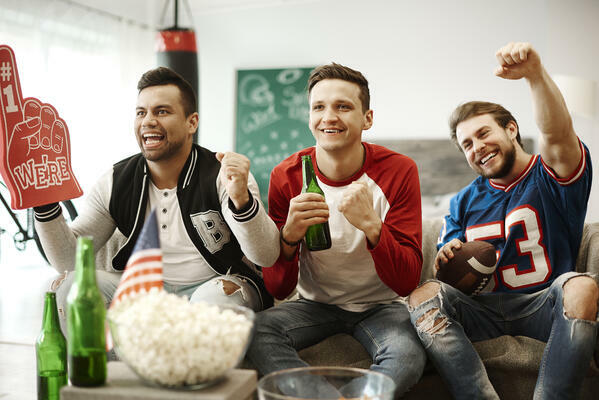 Whether or not you’re hanging with the crew or the fam, get your home game-day ready with these playlists and recipes. Go team!